Face tissue. It is mounting with stepless speed-regulator to change the rewinding ratio of large-reel lantern, clutch to facilitate paper cutting and electric sensor to count layers. 3. Most of parts are precisely processed by numerical-control machine; The key mechanical parts are under CNC processing; While the main outsourcing parts are world famous brand. 4. 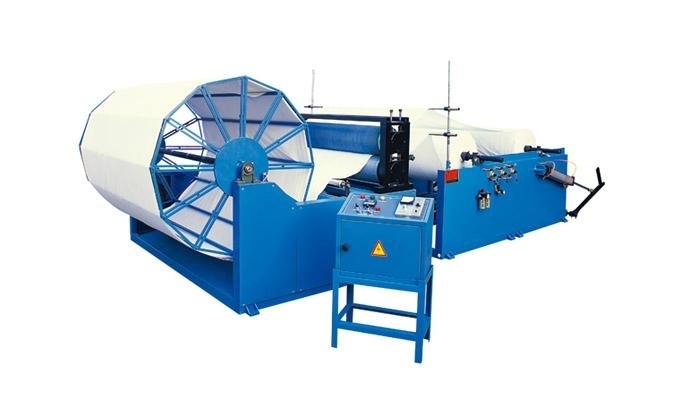 Stepless speed-regulate unwinding, stable tension rewinding; Machine is entirely running synchronously to materialize instant speed up. 5. Point to point double embossment can be ordered as per requirement.